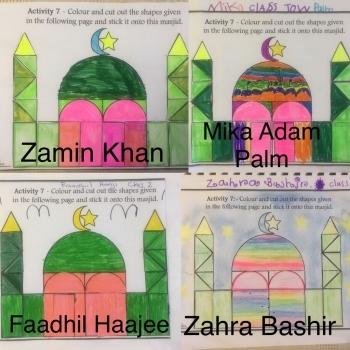 The creative students at Madrasatus-Saaliheen were busy designing Masjids (using colour, cut and stick) onto the masjid outline. Alhamdulillah, all of these came out fantastic and the kids had lots of fun. 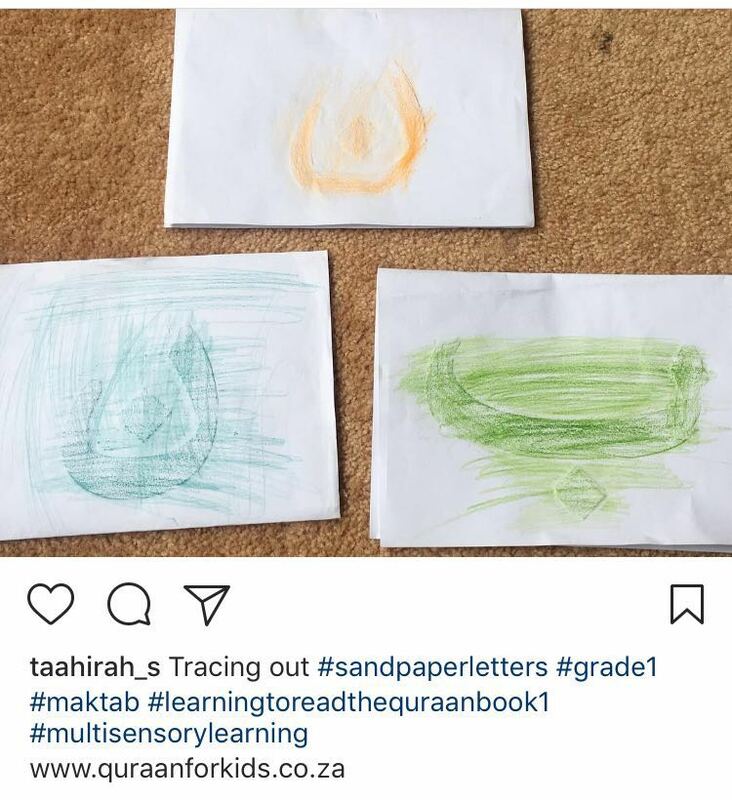 Alhamdulillah, the learners at Madrasatus-Saaliheen (Grades 1) were engaged in an creating colorful sand paper letters to help with their Arabic letters. 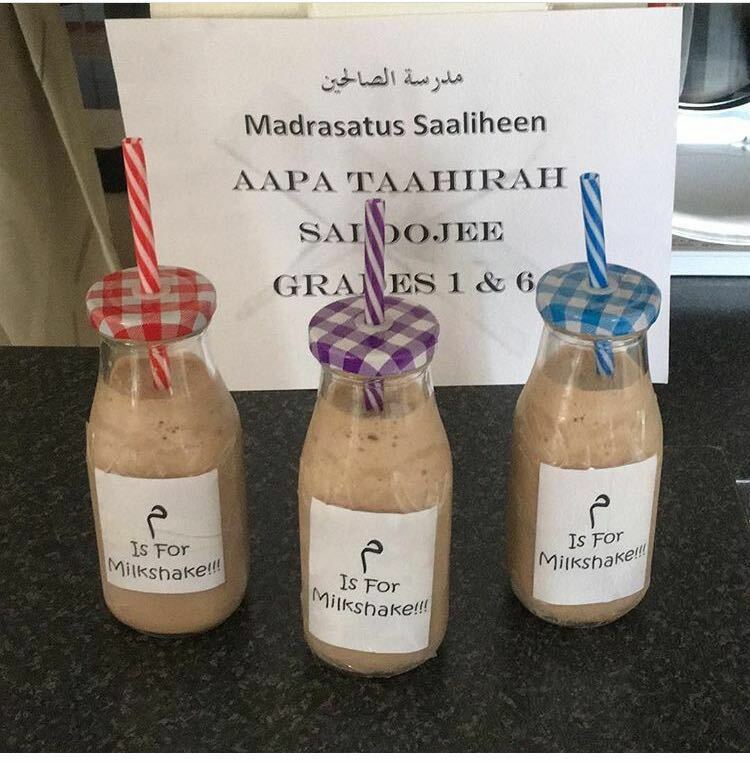 Alhamdulillah, the learners at Madrasatus-Saaliheen (Grades 1 and 6) were engaged in an creating flavorful milkshakes whilst solidifying their Arabic letters. Alhamdulillah, the learners at Madrasatus-Saaliheen (Grades 5 – 7) were engaged in an Amaal Box project early this Ramadaan 1438.